Place a copy of your boat registration or documentation with your boat insurance policy. Create an inventory of all property on your boat (take photos or video as proof), and keep receipts for all recently purchased equipment and accessories. 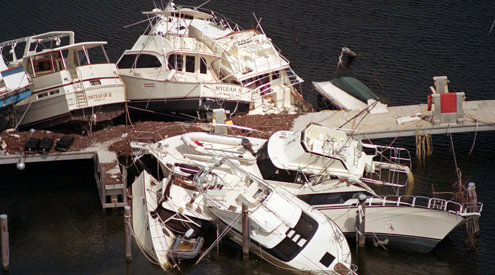 Inquire about hurricane preparedness and procedures at your marina, yacht club, or boatyard. If you’re at a mooring, check with the Harbormaster. Learn the storm surge history of the area and about safe routes to more protected waters. We enccourage you to check out the full article and the magazine, which always has informative (and fun) articles and to "like" their page on Facebook.